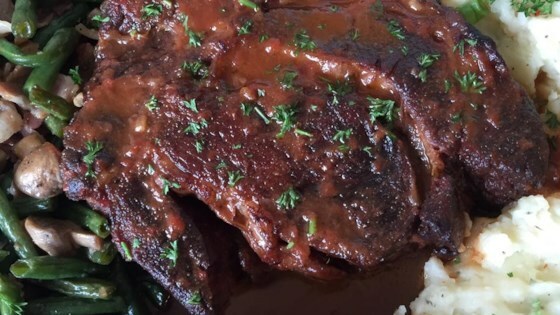 "This is a very easy recipe for a delicious pot roast. It makes its own gravy. It's designed especially for the working person who does not have time to cook all day, but it tastes like you did. You'll want the cut to be between 5 and 6 pounds."